Former Rugby League player and boxer Anthony Mundine has taken the next brave step in his sporting journey. 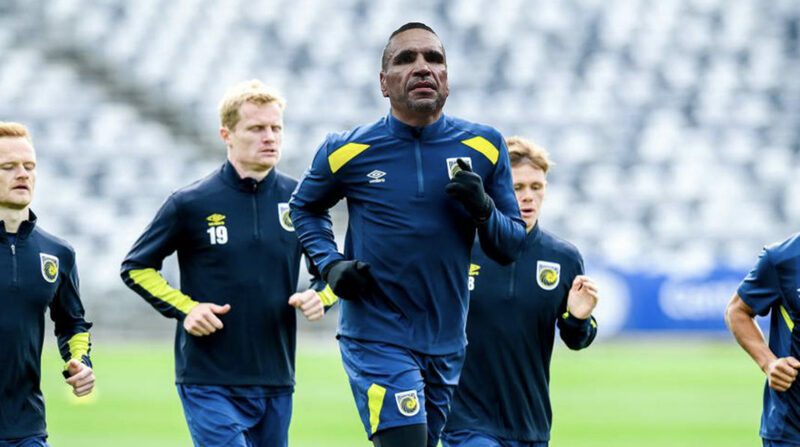 The 43 year old has begun trials for the Central Coast Mariners soccer team today, just hours after losing his final boxing match last night. His trial at the Central Coast Mariners comes six weeks after Usain Bolt left the club. Today’s preliminary trial involved some light fitness work as well as a chance for Mundine to learn the rules of soccer. Mundine took to the field today in the same pair of boots he wore in his last game for the St George Illawarra Rugby League team in 2000. “Yeah, I might get a new pair of boots soon, I just want to see how things go first,” he says.